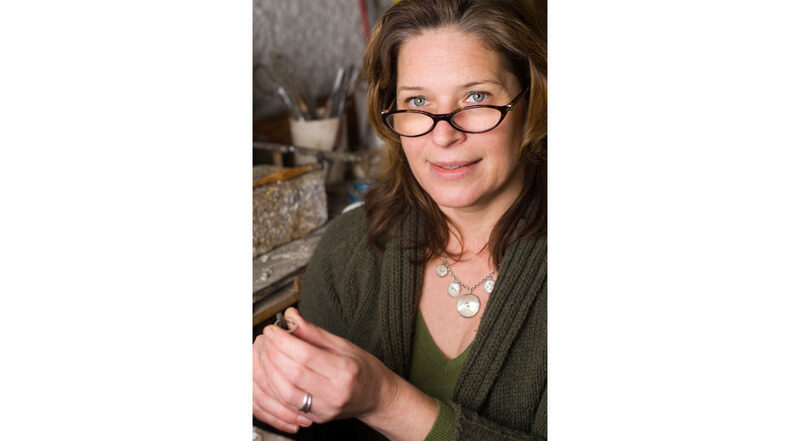 I have a long history in the jewellery world, I set up my own workshop and design business in Clerkenwell, London during the late 1980’s after gaining a BA (Hons) in jewellery and silversmithing at Sir John Cass, London. The ‘melted’ range and the ‘button’ range are being added to regularly as new ideas develop. My work is regularly featured in quality magazines such as Vogue, World of Interiors House and Garden and GQ. 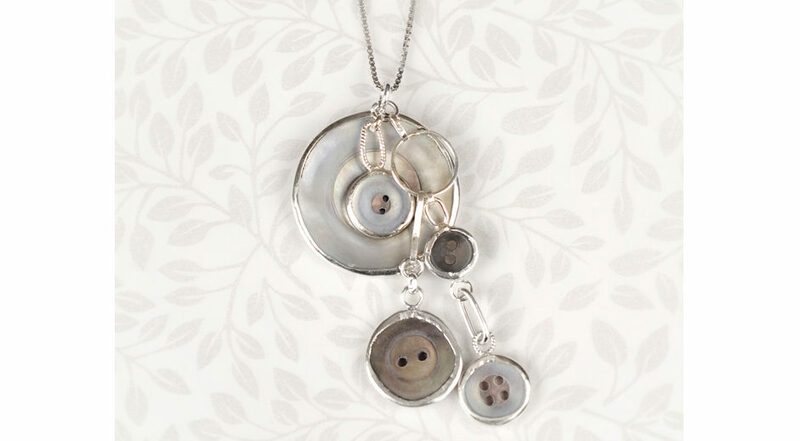 I am inspired by my love of old buttons, combined with an interest in contemporary design. 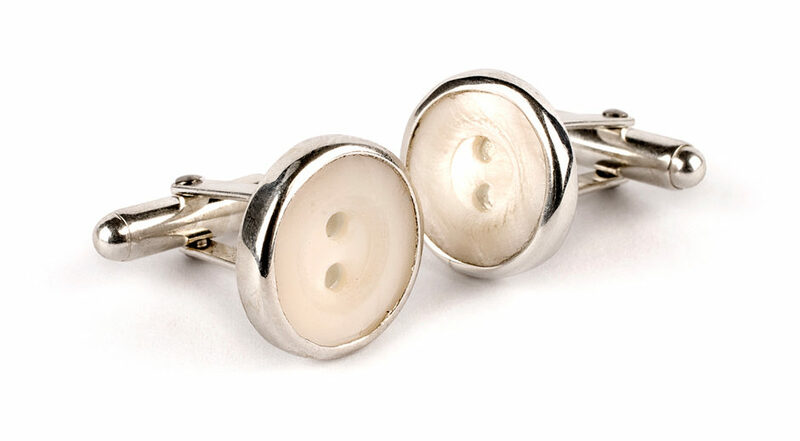 I select buttons and match them together to accentuate their individual qualities. Material and character I consider very important, and over the years I have built up a strong knowledge of these. I have lead small talks on the history of buttons and continue to gain knowledge about shells in particular. 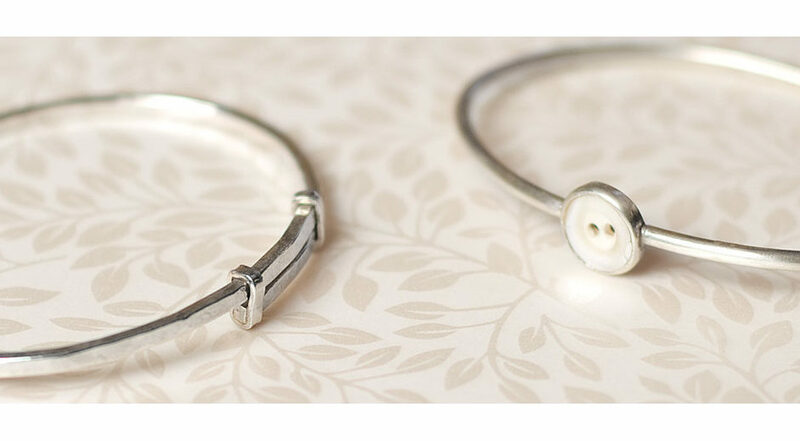 The buttons are set by hand in sterling silver or gold, preserving the fine workmanship in old buttons. Each and every design is completely unique. I use the large London Hallmarks as decoration on my ‘melted’ range of expanding bangles. I offer commissions to set clients own buttons, whether to make a special family piece, keep sake, or to create a truly personal gift for a birthday or wedding. I design and make my own pieces, and sell the expanding bangles to specially selected contemporary jewellery shops and galleries. My on line shop and website www.heatherstowell.com has a large range of my work and you can also visit me throughout the year when I exhibit through contemporary design and makers shows across the UK. as well as by private commission.